This powerful and breathtaking novel is the story of four cadets who have become bloodbrothers. Together they will encounter the hell of hazing and the rabid, raunchy and dangerously secretive atmosphere of an arrogant and proud military institute. They will experience the violence. The passion. The rage. The friendship. The loyalty. The betrayal. Together, they will brace themselves for the brutal transition to manhood... and one will not survive. 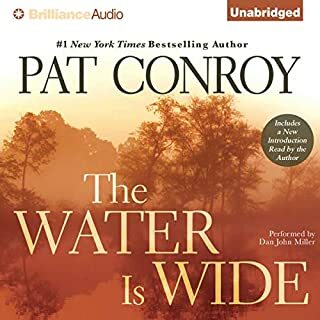 Pat Conroy is without doubt America's favorite storyteller, a writer who portrays the anguished truth of the human heart and the painful secrets of families in richly lyrical prose and unforgettable narratives. 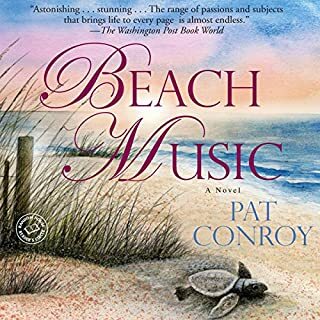 Now, in Beach Music, he tells of the dark memories that haunt generations, in a story that spans South Carolina and Rome and reaches back into the unutterable terrors of the Holocaust. Pat Conroy, the beloved American storyteller, is also a vora­cious reader. He has for years kept a notebook in which he notes words or phrases, just from a love of language. But read­ing for him is not simply a pleasure to be enjoyed in off-hours or a source of inspiration for his own writing. It would hardly be an exaggeration to claim that reading has saved his life, and if not his life then surely his sanity. A Lowcountry Heart: Reflections on a Writing Life by Pat Conroy is a new nonfiction collection of letters, interviews, and magazine articles spanning Conroy's long literary career, supplemented by touching pieces from the beloved author's many friends. The book collects some of Conroy's most charming pieces of short nonfiction, many of them addressed directly to his listeners, with his habitual greeting: "Hey, out there". Pat Conroy was "A Great Love"
It all started 30 years ago with a chance purchase of The Escoffier Cookbook, an unlikely and daunting introduction for the beginner. But Conroy was more than up to the task. He set out with unwavering determination to learn the basics of French cooking, stocks and dough, and moved swiftly on to veal demi-glace and pâte brisée. Hearing my favorite author read his own book! Before Madeleine Albright turned twelve, her life was shaken by the Nazi invasion of Czechoslovakia—the country where she was born—the Battle of Britain, the near total destruction of European Jewry, the Allied victory in World War II, the rise of communism, and the onset of the Cold War. Albright's experiences, and those of her family, provide a lens through which to view the most tumultuous dozen years in modern history. In 1954, in Orlando, Florida, nine-year-old Pat Conroy discovered the game of basketball. Orlando was another new hometown for a military kid who had spent his life transferring from one home to another; but when the "new kid" got his hands on the ball, the course of his life changed dramatically. From that moment until he was 21, the future author defined himself through the game of basketball. In My Losing Season, Conroy takes listeners through his last year as point guard and captain of the Citadel Bulldogs. He also tells the story of his heartbreaking childhood and of the wonderful series of events that conspired to rescue his spirit. In the 1966-67 season, the Citadel basketball team enjoyed a few victories and suffered a string of defeats, but their true triumphs came when the team pulled together and played the kind of joyous basketball that exceeded the sum of the players' individual talents. And their true humiliations came at the hands of their disciplinarian coach, who counted on the fear and cowering obedience he inspired in his young players to carry the day on the court. And so, without the safeguard of fiction, America's ultimate storyteller turns to the story of his own boyhood. With poignance and humor Conroy reveals the inspirations behind his unforgettable characters, pinpoints the emotions that shaped his own character as a young boy, and ultimately recaptures his passage from athlete to writer. Includes an afterword read by the author. 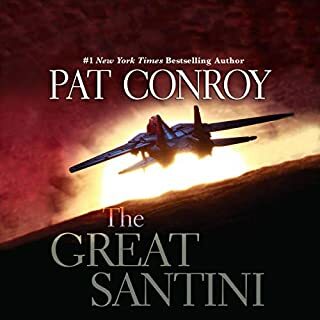 ©2002 Pat Conroy (P)2002 Random House Inc., Random House Audio, a Division of Random House Inc.
Pat Conway is just the best, I enjoyed this book imensely and I don't even like basketball much. 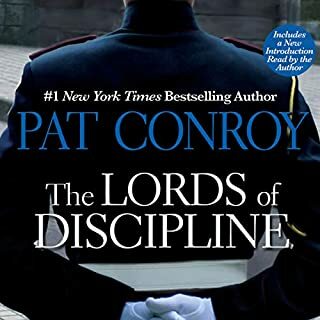 This is the heartbreaking real-life story of Pat Conroy as a member of the basketball team at The Citadel. It's the true tale of "The Lords of Discipline," but reality is harsher than fiction. Thank God Mr. Conroy grew to loves books as he has and was given the ability to write words that make us laugh hysterically and cry uncontrollably. That's why he's my favorite. His recounting, especially, of his meeting with basketball teammate Al Kroboth would make even the harshest critic shed a tear. 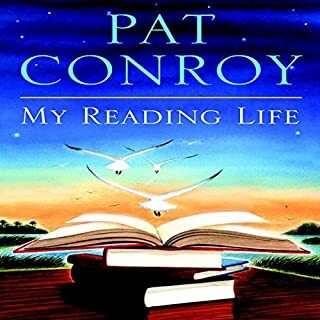 This was my first experience in Pat Conroys world and will have to say the book was so well written that I caught myself wondering why all books are not written like this. The book brought me in to the Citadel, the world of Mel Thompson, and the Great Santini. I would listen to this book again. This was my 15th or so audiobook in 6 months. I do believe that you have to like some aspect of literature and sports to truely get all there is in this book. I have never been an athlete or a member of an athletic team. Pat Conroy made me understand this experience better than I ever thought possible. I learned a little of the passion and the drive that keeps a person who is not a star working and striving. It takes an amazing writer to present a person as detestable as Pat Conroy's father and not make you hate him. Instead, you come to accept him even as Pat has come to terms with him. It is a great thing to have this author narrate his book. It is an extremely personal narrative, and his voice carries the emotion of this narrative beautifully. What did you love best about My Losing Season? I loved how intimate the book felt. Just like listening to an old friend talk about his life. This is not my first Conroy. Far from it. I read my first Conroy as a summer reading assignment before my 8th grade year. I made my first basket at the age of 8 when I accompanied my father to the basketball court one Saturday morning because I wanted to play on the swing set just off the court. But as we were headed home I lobbed one into the air per my usual ritual... only this time it went in. I made him take me back 3 times that day and so was basketball. I bought this book the day it was released and realized Coroy would never write anything so dear to my heart as this tale about the south and basketball. My sport. My author. My south. And so I purchased this audio book to listen to on the treadmill because I knew the prose and the competitive spirit of the boys from that team would push me forward when I didn't want to go. And it worked like a charm until the narration began and I realized that the narration had let down my south. The author's home town of Beaufort South Carolina and the majestic city of New Orleans are mispronounced at every occasion. And each time it took me out of the narration. The book is amazing... but it's a far better read than listen. 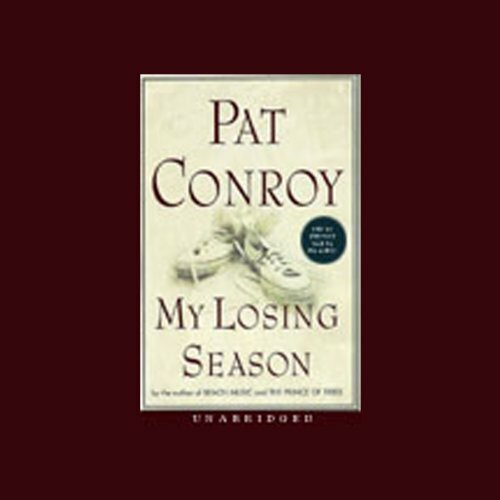 I'm a first time reader to the Pat Conroy series and the first book , the Losing Saeson will propel me to read all of his books, It's the type of book that you hate to put down . I feel like I'm in the book and want to be a character. Great stuff and can't wait until my next book arrives. While Pat Conroy's books are always engaging and challenging for the reader, this book loses its Southern heritage being ready by Chuck Montgomery. His annoying misprounciation of Beaufort (which should sound like "beautiful", as in "Beautiful Beaufort by the Sea.") as "Bow-fort," and St. Helena as "St. Hel-een-a" served to frustrate this listener, who thinks these errors are a major problem the publisher should correct. I cannot help but wonder what else the reader has mispronounced? 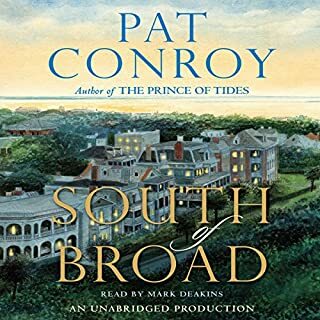 Save your money on this one, listeners, and read the pages, where you can hear Pat Conroy's voice in your head pronouncing the names correctly. His amazing story deserves a better performance than Montgomery delivers. Pat Conroy . . . I mourn the fact we will have no more books from Mr. Conroy. If you've enjoyed his other books, you'll love this one too. Not much more to say . . . a fabulous writer, turning phrases as only he can. Loved it.